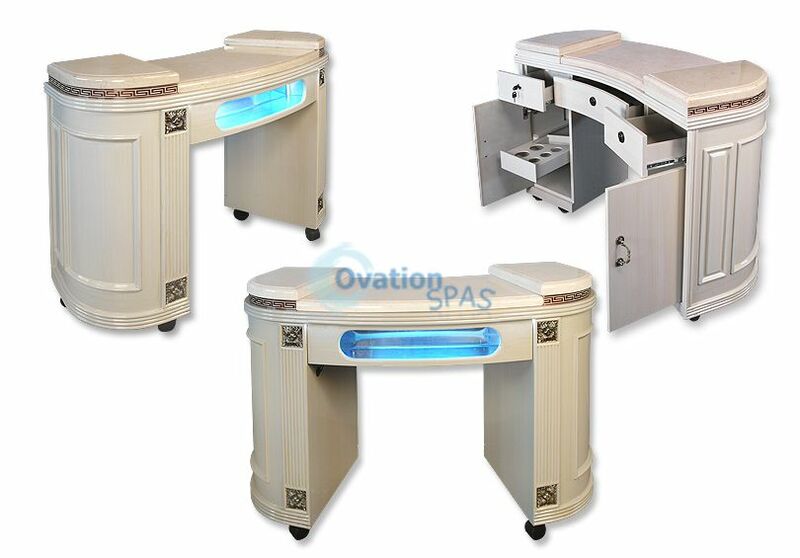 Hollywood UV gel light manicure table is latest in nail salon furniture design. The designer accents provide an upscale look for you nail salon or day spas. Available 2 laminate wood and marble tops.